This completely hands-on workshop provides a unique opportunity to design a real-world space mission from scratch. Course participants are given a set of mission objectives in the form of a Request for Proposal (RFP) or Announcement of Opportunity (AO) and divided into competing groups to conceptually design a viable mission that meets the customer expectations at an acceptable lifecycle cost. The groups are guided through a structured space system engineering approach to define a mission concept and supporting space mission architecture, and complete a detailed analysis. Participants are given a comprehensive mission design and analysis tool along with a full copy of the Satellite Tool Kit software to analyze trade-offs and complete their design. A minimum of in-class lecture provides “just-in-time” learning and concrete examples to keep participants on track. The product of the design exercise is a 30 minute Mission Concept Review presentation where the participants are given the opportunity to outline and defend their design decisions. 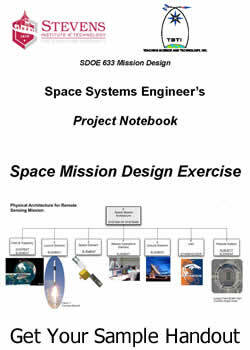 The Space Mission Design Exercise serves as a concrete and practical means to apply and test space system engineering techniques in a non-threatening, real-life environment. [Three to five day course]. At the end of this course you will have the knowledge, tools and experience to turn customer expectations in the form of an RFP or AO into a fully-defined mission concept, or critically analyze proposed mission concepts with insight into the critical trade-offs between cost, schedule, performance and risk. 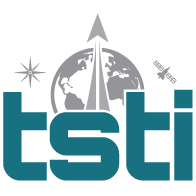 Systems engineers, payload principle investigators, subsystem engineers or project managers who are responsible for the detailed design and operation of space systems. Intact teams preparing to develop or respond to a existing RFP or AO. Past participants from Designing Space Missions & Systems, Human Spaceflight or Understanding Space courses are ideal!